As a leader you should be consistently improving how you collaborate. Unless you live and work alone in a cave, it is almost certain that you have work relationships that involve some level of collaboration. Collaboration is vital not just for getting work done as efficiently as possible; it is also critical for optimum workplace satisfaction, because true collaboration increases an individual’s morale, sense of accomplishment, and identity within their team and company. As a leader or an aspiring one, you should be consistently reflecting on how you collaborate and seeking opportunities to raise your “collaboration game.” Not only will being a strong collaborator raise your productivity and job satisfaction, it will reinforce to others that you are a leader. Every day, without thinking about it, you head to work and spend the day interacting in a number of collaborative relationships. You might collaborate with your closest team member, your supervisor, someone in another department, or maybe someone in a satellite or overseas office. When collaboration is easy, the process flows effortlessly. You explore ideas and approaches to the current project or task, go back and forth over how to get it done, divide duties according to individual skills, and move forward to complete the job. Sometimes, however, you wish it would be this easy. Occasionally, things just don’t click with the other person, despite a mutual desire to be successful. Fine-tuning your collaboration skills begins with assessing all of your existing collaborative relationships. First, confirm the people with whom you have strong relationships. Think about the personality traits you and the other person share that enable you to work so well together. 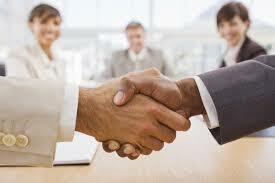 Next, think about the complimentary skills the two of you share and how they mesh together. Finally, ask what enables strong ongoing collaboration to take place.